For the first time in forever I don’t have a trip booked. I actually can’t remember the last time I didn’t have any travel plans. It is a strange feeling and I am starting to get itchy feet. If, like me, you haven’t got any travel plans and need some inspiration, then this post is for you. Be warned you may leave here with a serious case of wanderlust and travel is the only cure. 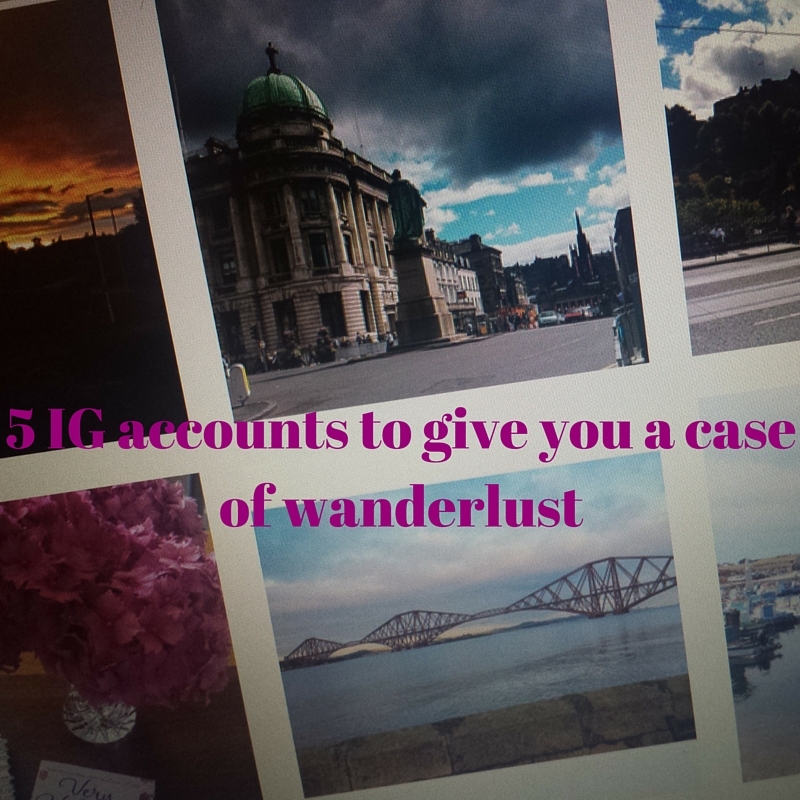 I am going to start with one of my favourite accounts @worldwanderlust by Brooke Saward. 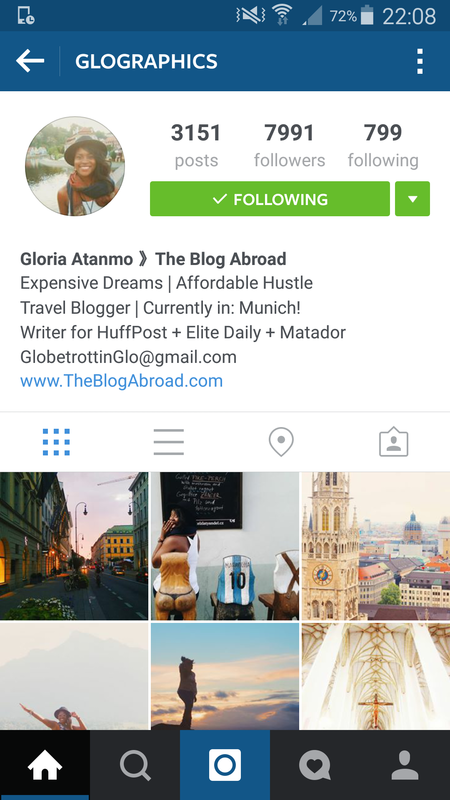 She is a travel blogger and her blog is one of the biggest travel blogs out there. She posts some gorgeous shots of her travels, which make you want to add each destination to your bucket list. @drewbinsky by Drew. He has been partying and eating his way around the world since 2012. 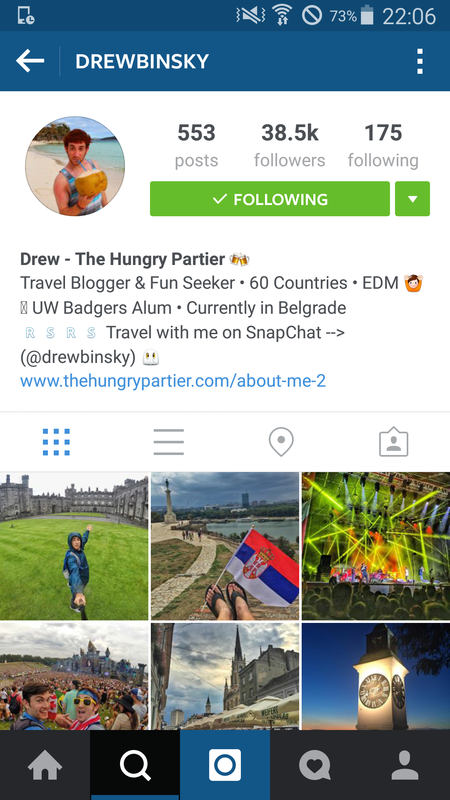 He is currently travelling Europe and showcasing some ‘off the beaten path’ destinations. If you want to discover places you never thought/heard of then he is your guy. @adventurouskate by Kate McCully. She has been a full-time traveler for about 5 years. She specialises in solo female travel and posts some eye-catching photos of her travels. @glographics by Gloria Atanmo. 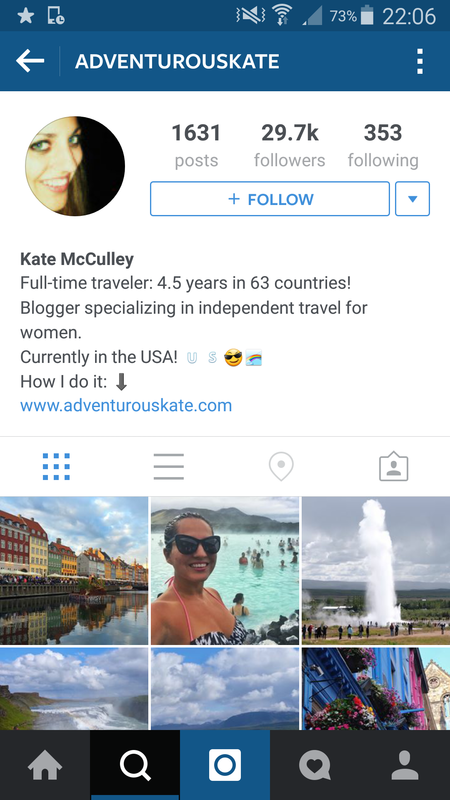 She has just become a full-time travel blogger. She posts gorgeous photos of her travels with a good splash of humor thrown in too. She showcases affordable travel, which shows that your bucket list can be achieved. 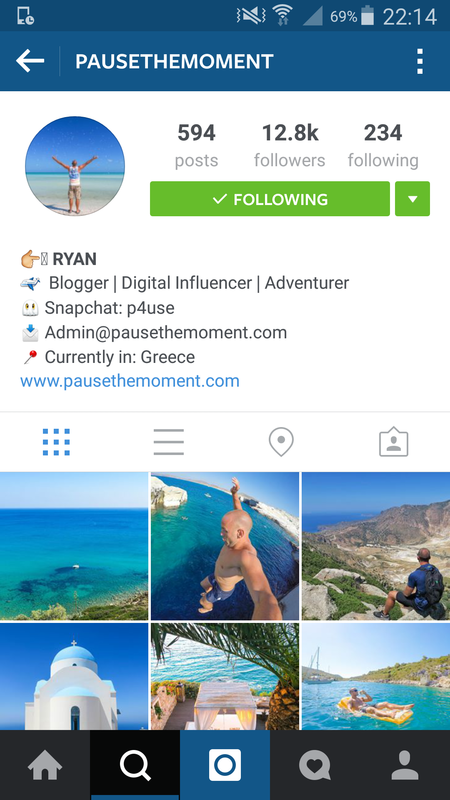 @pausethemoment by Ryan. He is a full-time travel blogger. He posts colourful shots which make you want to hop on a plane ASAP. 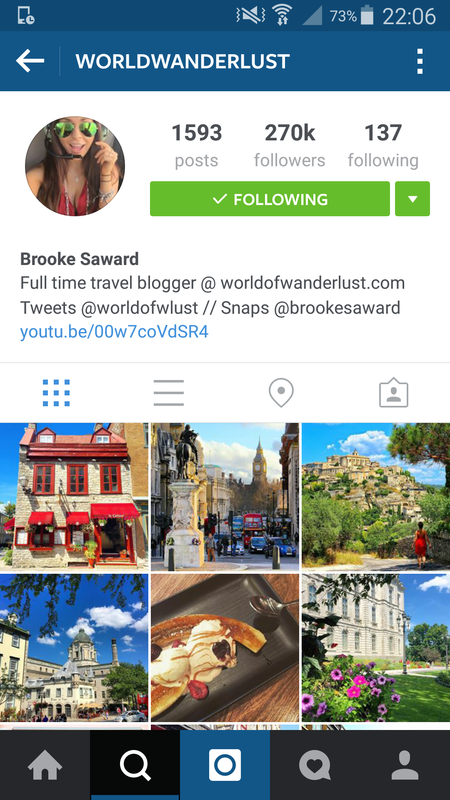 Do you know of any other IG accounts that give you a case of wanderlust? Comment below I love finding new great IG accounts.